A few years ago, in an effort to show Chloe that toy trucks aren’t just for boys, my mother bought her a Hess toy truck for the holidays. It’s really cool – a big semi that holds two speedy racecars with reverse friction motors. Chloe was amused by it for a bit, and then we relegated it to the basement when she tired of its play quotient. We took it out again for Sophie’s enjoyment, and I’m happy to report that she thinks it’s the coolest thing since no-crust sliced bread. Especially those little cars. This morning we spent some time playing racecar roly-poly, zooming the car back and forth to each other. “Awesome!” she exclaimed (of course, when I asked her to repeat the word, since it was the first time I had heard her use it, she refused with a big self-satisfied grin). We had a grand old time together. 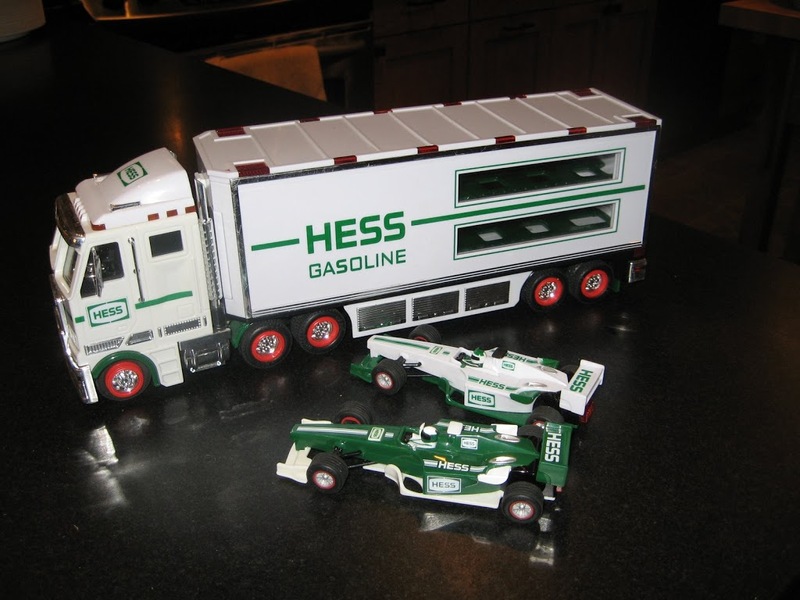 Hess annually releases a new collectible truck for the holidays, and this year’s model is a monster truck with two motorcycles. The name of the truck is particularly a propos, given our little Sophie’s sometimes monstrous behavior, so I plan to buy it in order to further inculcate our little one in the importance of not falling prey to gender stereotypes. The lesson won’t be coming too soon. A few minutes after our truck bonding experience, she was brushing the hair of the figurines in Chloe’s My Little Pony collection. Oh, well. At least her interests are varied.